If you know that you’ll be unable to access your Yahoo email account for a while, you may benefit from setting up canned replies automatically in Yahoo Mail. Today, we’re going to show you how to get this type of auto-reply system set up. Once you’ve followed our steps, anyone who emails you will receive an automatic reply of the message that you’ve drafted. Each recipient will receive a response within sixty seconds. This system is a lot like phone auto respond systems. First, you’ll need to access your Yahoo mail account by logging in. Next, you should click on the area that reads, “option”. It’s situated in the uppermost, left-hand corner of the interface. After this, choose “mail options” and then open up the window box called “mail options”. The next step is looking at the options with the “mail options” feature. You should be searching for the “vacation response” option, which is on the left. It won’t be hard to find!! Once you find it, click on it. At this point, you’ll be ready to open up the window box which is labelled, “vacation response”. 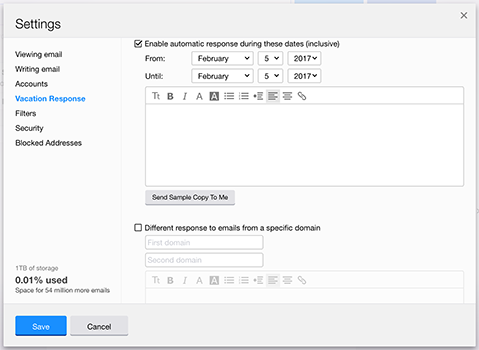 After you do this, you’ll need to click on the field which is labelled, “enable auto-response during these dates”. The best step is selecting the vacation time. 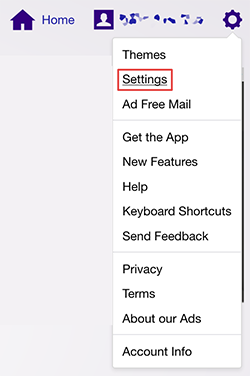 This is the time when you’ll need the auto-replies to go out to your email connections in Yahoo Mail. Next, create your message. You may write whatever you wish. Most people choose to thank others for emailing them and also let them know that they’ll email personally when they can, such as after a vacation. Once you’ve crafted your message, just click in order to save it. This handy process is something that Yahoo users rely on when they aren’t around to check their email and answer messages, or when they just don’t feel like answering. It’s a convenient way to ensure that all people who send emails receive polite answers. While the responses are canned, they let recipients know why they won’t be getting personalized emails and when they may expect personalized emails. If you care about etiquette, you’ll find that using this system, by following our simple steps, is a smart way to show respect for those who email you. So, why not set up the system today?